Fulpmes is a village and a municipality in Stubaital, Tyrol, Austria. In 2015 it had a population of 4,250, of whom 14.5% did not have Austrian nationality. Fulpmes is the center of iron production in the area, and lies at the base of the Schlick 2000 ski area. 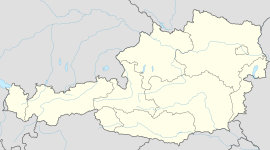 The municipality of Fulpmes belongs to the Innsbruck Land district. It has an area of 16.77 square kilometres (6.47 sq mi), and an altitude of 936 metres (3,070 ft). The neighboring municipalities are Neustift to the west and Telfes and Mieders to the east. Fulpmes is the terminal station of the narrow-gauge railway Stubaitalbahn from Innsbruck. Wikimedia Commons has media related to Fulpmes. This page was last edited on 26 March 2019, at 14:46 (UTC).